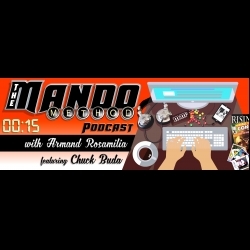 The Mando Method Podcast co-hosts Armand Rosamilia and Chuck Buda talk about series priorities and when is the ideal time to finish a series or start a new one. They talk about other stuff, too. Chuck gets homework and then the boys have a rap battle for street cred. Or maybe not that last part.